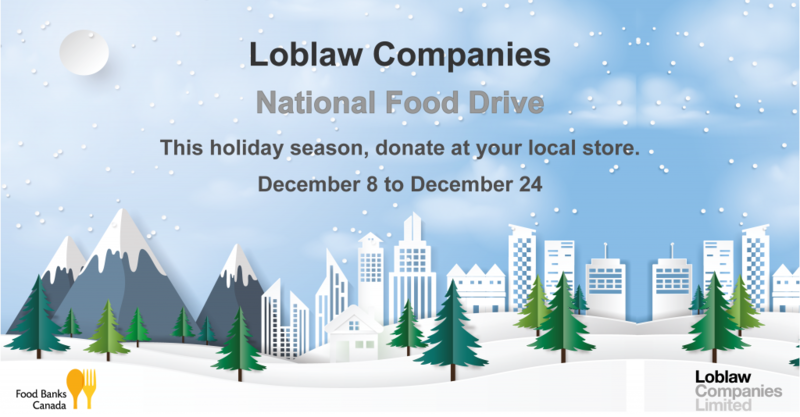 Loblaw Canada is holding a national food drive throughout the month of December! From 8 December to 24 December, Loblaw stores (including Loblaw’s City Market and Superstore) in Richmond will be accepting nonperishable donations to the Richmond Food Bank. They’re hoping to collect more than 1.3 million lbs of food across Canada for local food banks. Thank you Loblaws Canada for your support and hard work in organizing this food drive!